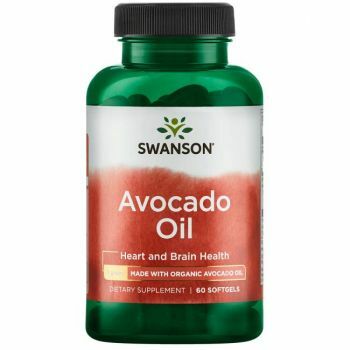 Swanson Avocado Oil is a completely natural source of monounsaturated fats, valuable fatty acids (the omega-9 oleic acid in particular) and vitamin E. It is also very suitable for cooking and food preparation. If you want to give your body all the health benefits of avocado oil, but have not yet done so for reasons related to its price or taste, we are happy to offer you our new softgel capsules of certified pure organic avocado oil. 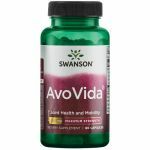 Take advantage of all the goodness this natural product has to offer without any unnecessary costs!